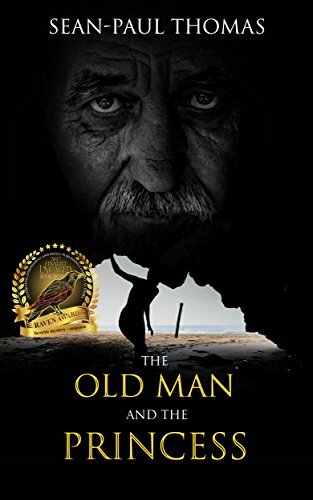 The Old Man and the Princess is a very skillfully crafted novel. As the tale gradually unfolds, the suspense slowly builds and leaves the reader guessing until the end. The characters Derek and Sersha are both flawed individuals with a complicated relationship but their bond gradually develops until it becomes one of trust and co-dependence. But just who is Derek, the barmy old man who kidnaps teenager Sersha from a life of foster homes in Galway? Could the crazy tale he spins actually be true? What secret does the secluded cave in the Scottish Highlands hold and can they evade their pursuers long enough to reach it? A thoroughly enjoyable book and one I couldn't put down until I reached the end and the truth. My thanks to author Sean-Paul Thomas for providing a copy of this book. An eccentric old Irishman, who claims to be 'not of this Earth,' kidnaps a young, headstrong, Irish girl, from the streets of Galway and tries to convince her that her life's destiny is tied to a mystical cave in the Scottish highlands. But with half of the Irish criminal underworld violently on their trail,the young girl struggles back and forth with the old man's real identity and far fetched intentions, to whether he truly is genuine in his wild and fantastical beliefs. Or is he really just a mad, demented, old fool, having some kind of mental breakdown in his twilight years.